Are you organising a hen party? Or a staff away day? Want to unleash those creative juices? We all have them. 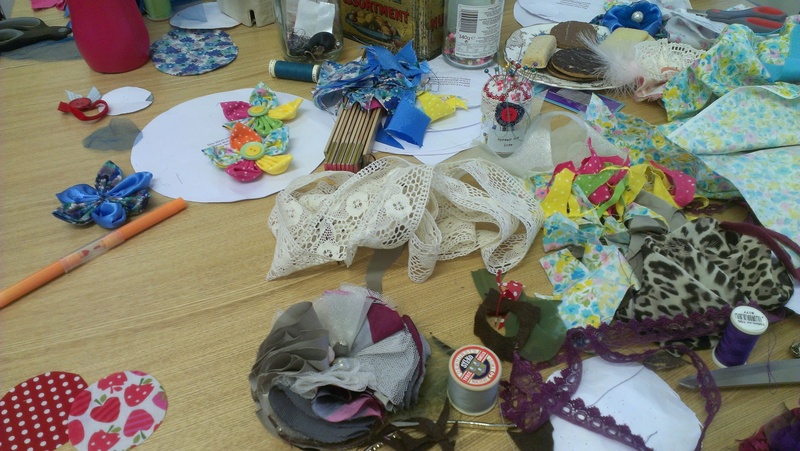 Book a Picky Miss craft party, and not only learn a new skill, and a new way of looking, but have a whole heap of fun in the process. And you’ll have something beautiful (or crazy) to take away at the end of it! I offer workshops for all abilities, with full tuition, worksheets, and party bags 🙂 Prices are per person, with a minimum of six. For children’s parties (min. age 9 years) I will take up to 14, for adults up to twenty (I may be flexible on this, depending on circumstance and abilities). Teat Owls (the most common species of owl in the British Isles). I made these with a class of Y4s as part of their studies about ‘WWII on the Home Front’. We talked about ‘Make Do and Mend’, and they learned how to sew something old (in this case, a pile of teatowels) into something new. 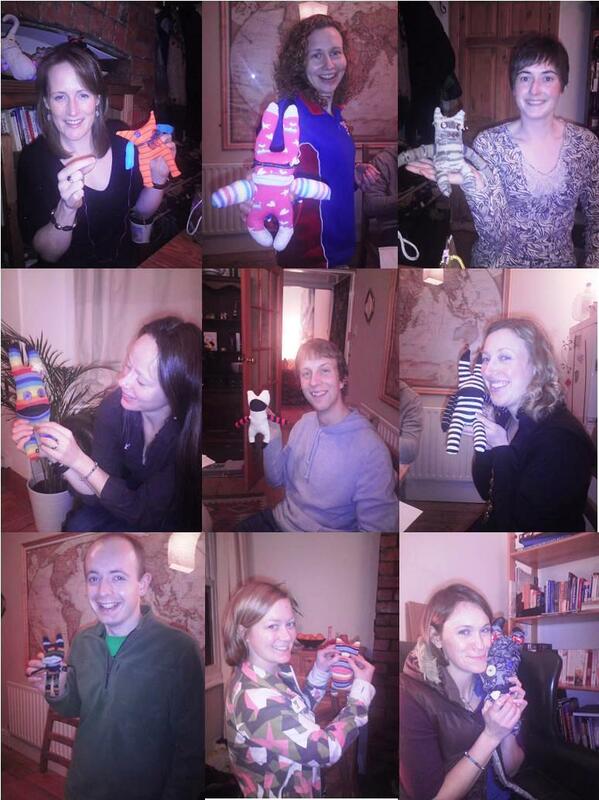 Sock Monsters. This one really makes people happy! 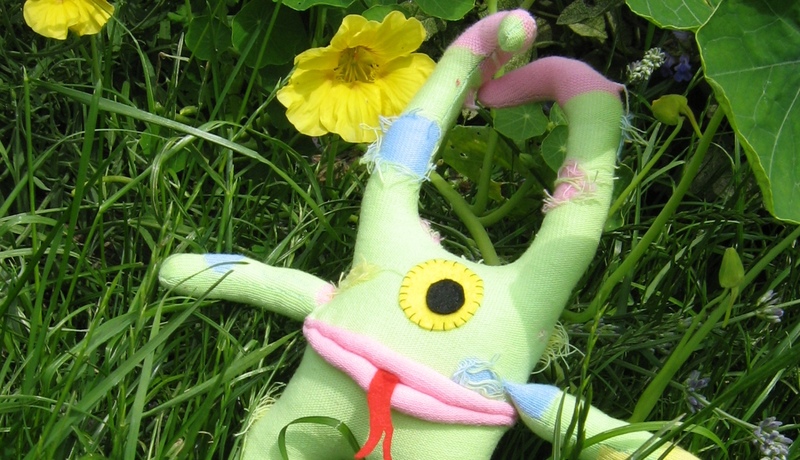 Learn how to turn an old sock into a crazy monster. Great fun for helping people who claim they have no creativity, and no sewing skills, to realise just how wrong they are. Adults and children alike love this workshop – come on, learn to see the extraordinary in the ordinary. 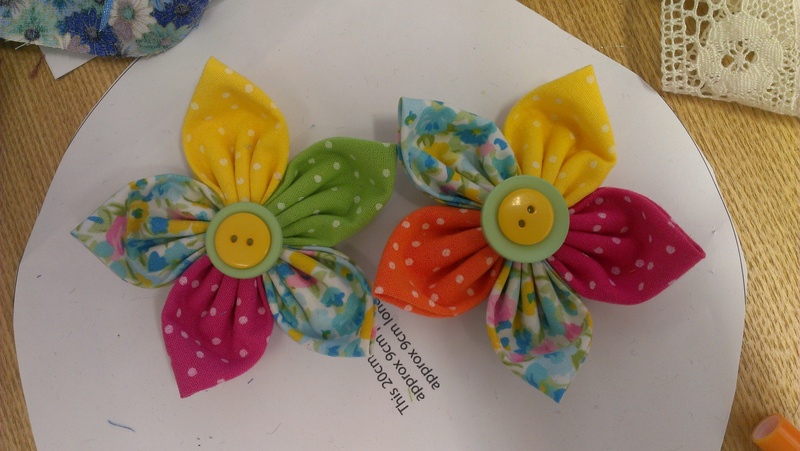 Fabric Flowers. Easy to make, and easy to turn into corsages, hair-pieces, hat decorations, or anything you can think of. I will show you how to create a variety of flower styles, not just the ones shown here. A great thing to make at hen parties, as they can be matched to the wedding colours and then taken away to decorate both venue and people! Hand Embroider y. So (sew) much easier than people fear. 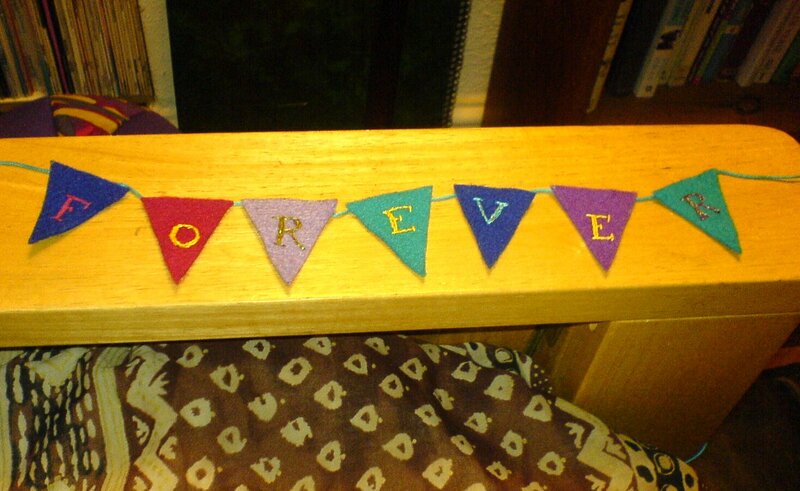 This tiny bunting was made to decorate the top table at a wedding, but I can provide picture patterns if you would rather just doodle. Relaxing and fun, this is embroidery for complete beginners, where you will learn basic stitches, and explore different applications for your new skills. Or you can book any combination, or variation, of the above. Get in touch now and we can discuss your requirements. I am fully DBS checked to work in schools, and also have Public Liability Insurance to work with, well, the public. I am based in Sheffield, but may consider travelling further afield—just ask. Yes, yes you *can* make these! 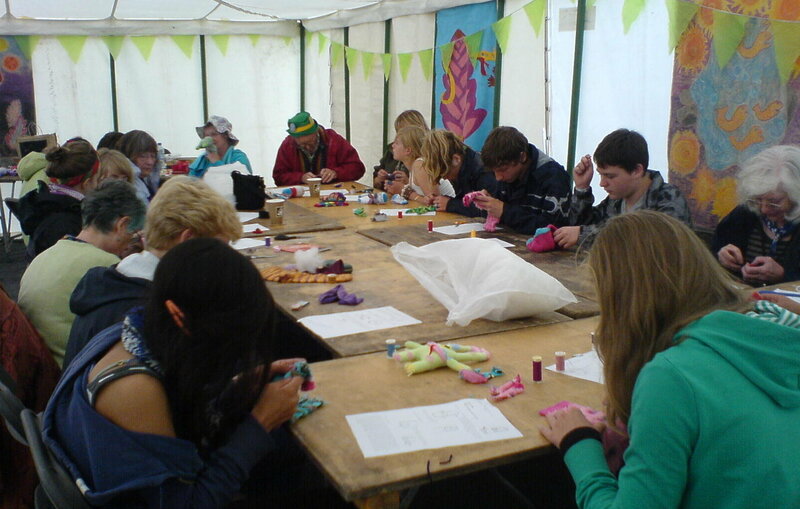 Your guests/participants will get personal tuition (even if you can’t sew a stitch, I’ll teach you! 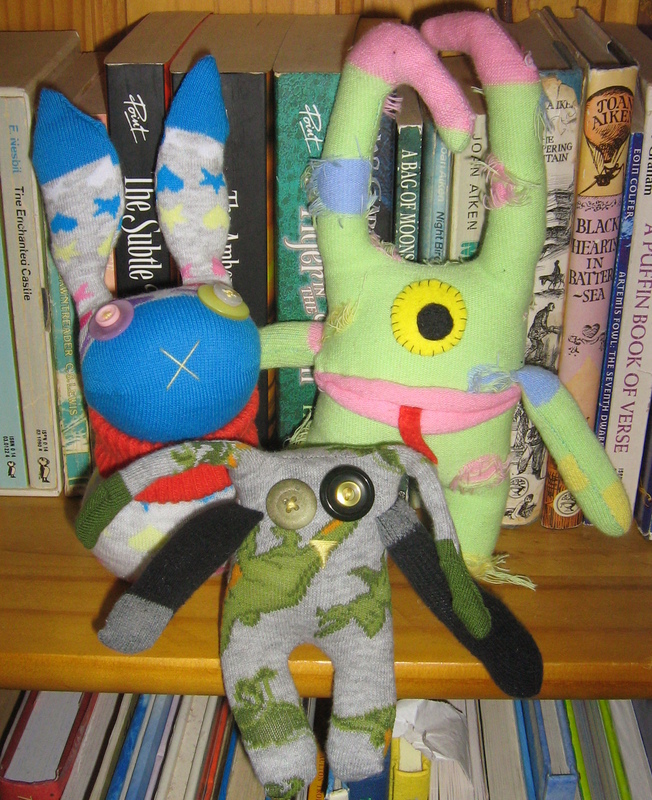 ), and come away with a new skill, their own sock monster/bag/whatever, and (for a party) a party bag full of goodies. I can also teach workshops in your workplace, with a stronger emphasis on creative thinking. Helping your staff see the extraordinary in the ordinary. These workshops can also include input from other artists, so contact me to discuss details; I’m sure we can come up with something amazing. 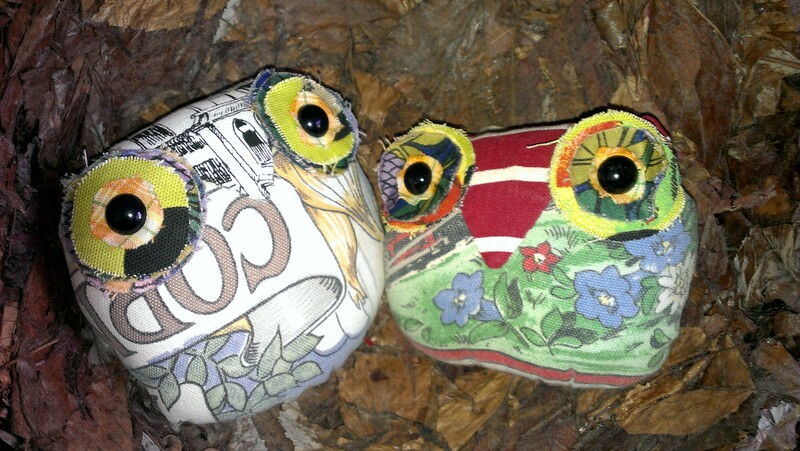 For custom-created monsters for particular occasions, check the work I did with storyteller Shonaleigh, making monsters for *her* course participants.